The wind resource measured in Point Lay is excellent, with measured wind power high class 4 to low class 5 (on a scale of 1 to 7). In addition to high average wind speeds and high wind power density, Point Lay’s winds are highly directional and of low turbulence, all of which are highly desirable for wind power development. V3 Energy LLC wrote a wind power conceptual design report in January 2015 that explored several project site and wind turbine options for Point Lay as preparation for the project to move to the design phase. 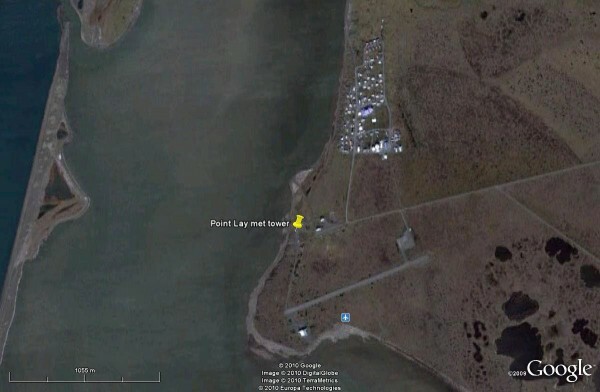 The conceptual design report was an update to a wind power feasibility study of Point Lay that V3 Energy LLC prepared for North Slope Borough in December 2011. Both studies conclude that the technical and economic prospects of wind power to supplement Point Lay’s diesel power plant are excellent and development is highly recommended.